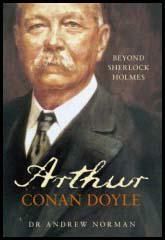 Arthur Conan Doyle, the son of Charles Doyle and Mary Foley, was born in Edinburgh on 22nd May 1859. Arthur's father was an alcoholic and the family was always short of money. At school, Arthur developed a strong interest in the books written by Sir Walter Scott and Edgar Allan Poe. Conan Doyle studied at Edinburgh University and helped to fund his course by working as a surgeon on Hope, a 400 ton whaler on a seven month voyage to the Arctic. The following year he worked on Mayumba, a passenger ship bound for West Africa. On this voyage Conan Doyle nearly died of typhoid. On his return, Conan Doyle set up as a doctor in Southsea, a suburb of Portsmouth. 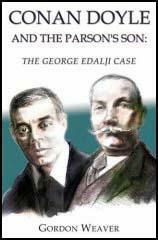 With very few patients, Conan Doyle attempted to make money by writing detective stories. His main character, Sherlock Holmes, was based on Dr. Joseph Bell, a surgeon and criminal psychologist, who lectured at Edinburgh Infirmary. In 1891 Conan Doyle published six Sherlock Holmes stories in the Strand Magazine. The following year he was paid £1,000 for a whole series on Sherlock Holmes. Conan Doyle really wanted to write historical novels like his hero, Sir Walter Scott, and in 1893 decided to kill off Sherlock Holmes in the story, The Final Problem. However, after coming under considerable pressure from his fans, he returned to write his best known detective story, The Hound of the Baskervilles(1902). Conan Doyle served as a doctor in the Boer War (1899-1902) and wrote The War in South Africa (1902), where he attempted to justify Britain's actions during the war. 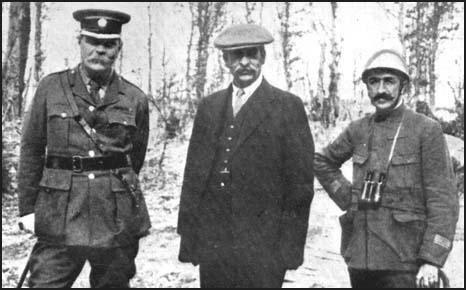 Sir Arthur Conan Doyle, Robert Donald and a French officer on the Western Front. On 2nd September, 1914, soon after the start of the First World War, the Liberal politician, Charles Masterman, the head of the War Propaganda Bureau, organised a secret meeting of Britain's leading writers. to discuss ways of best promoting Britain's interests during the war. Those who attended to discuss the best way of promoting Britain's interests during the war included Conan Doyle, Arnold Bennett, John Masefield, Ford Madox Ford, William Archer, G. K. Chesterton, Sir Henry Newbolt, John Galsworthy, Thomas Hardy, Rudyard Kipling, Gilbert Parker, G. M. Trevelyan and H. G. Wells. All the writers present at the conference agreed to the utmost secrecy, and it was not until 1935 that the activities of the War Propaganda Bureau became known to the general public. Several of the men who attending the meeting agreed to write pamphlets and books that would promote the government's view of the situation. In 1914 Conan Doyle wrote the recruiting pamphlet, To Arms!. The WPB arranged for Conan Doyle to go the Western Front and his pamphlet, A Visit to the Three Fronts was published in 1916. During the war Doyle also wrote his six volume history, The British Campaign in France and Flanders. Conan Doyle also wrote on the First World War for the Daily Chronicle. Although fifty-five when the war Conan Doyle also joined the Crowborough Company of the Sixth Royal Sussex Volunteer Regiment and served as a private throughout the war. His son, Kingsley Conan Doyle, joined the British Army and was wounded at the Somme. He died in October, 1917, after developing pneumonia. After the war Conan Doyle wrote several books on spiritualism including The New Revelation (1918) and The History of Spiritualism (1926). Arthur Conan Doyle died at Crowborough on 7th July 1930. Happy the man who can die with the thought that in the greatest crisis of all he had served his country to the uttermost, but who could bear the thoughts of him who lives with the memory that he had shirked his duty and failed his country at the moment of her need. (2) Sir Arthur Conan Doyle, recruiting speech made on 6th September, 1914. There was a time for all things in the world. There was a time for games, there was a time for business, there was a time for domestic life. There was a time for everything, but there is only time for one thing now, and that thing is war. If the cricketer had a straight eye let him look along the barrel of a rifle. If a footballer had strength of limb let them serve and march in the field of battle.